Every month Olympic gold medalist Ryk Neethling spends thousands on lawyer’s fees to combat online scams that illegally use his identity to make money. The swimmer-turned-property-developer is not the only public figure that has been victim to identity theft and online fraud though. Fake online identities of entertainers and especially politicians – even President Jacob Zuma – have popped up. TV presenter Jeannie Dee said this week that recently “people stole my name and picture to sell diet pills on the Internet”. Neethling said he “can’t go and pursue all those cases”. 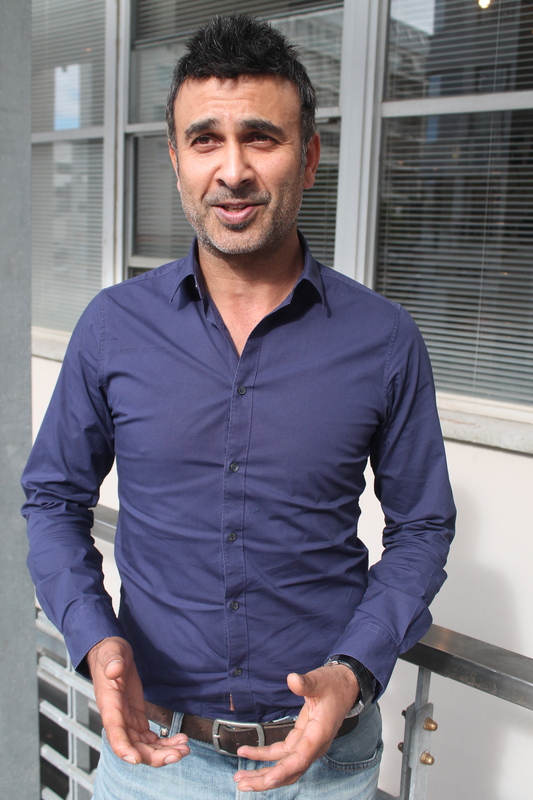 Nadeem Shahid, a founding partner of the website ThisIsMe, said they are able to help combat online fraud by providing an independent identity verification service to Internet users. ThisIsMe launched in Cape Town this week, after 14 months of development, and intends to operate initially in South Africa. Its team of multi-national owners and staff work from offices in Kloof Street in Gardens. ThisIsMe website would hold a database of voluntarily verified online users. Other Internet users could check the validity of these user’s identities via websites linked to ThisIsMe. Shahid said this would be useful when undertaking financial transactions or even engaging on dating websites. He said ThisIsMe would use various means to authenticate an online user as legitimate. “We have full access to the home affairs department’s database so we can verify identity numbers, proof of address and photographs. This is information that confirms if someone is registered with the government in South Africa,” he said. “We ask users to upload their banking details and we deposit one cent into their bank account to verify that it is real,” he said. Shahid said this “independent online verification authority” is free to users. “We make money from merchants or websites that want this service. They want to have people who are verified to be buying and selling goods, for example, on their website,” he said. Shahid said the safety of user’s personal data is ensured via “strict data security standards, including encrypted data storage structures”. “Access to your own data is protected by two-factor authentication and all our partners are strictly scrutinised before any agreement or integration can take place,” he said. Claire Cobbledick, head of marketing at popular classifieds website Gumtree, said one of the fears that prevent growth of their business is a lack of trustworthiness among online users. Cobbledick said Gumtree has eight million unique browsers every month on its website. Three million adverts are placed on the website monthly. “Personal safety and trustworthiness is a problem online. We have a filtering system that blocks adverts that are fraudulent or scams. But users want to know they can trust others on the platform. It’s a challenge,” said Cobbledick. She said they needed to consider identity verification options, as “users want to check if someone is trustworthy”. “We could grow our users if people trusted the adverts that are placed online,” she said. Shahid said if their system was linked to websites like Gumtree, a user could verify the identity of each buyer or seller online. “There are so many fake online accounts using the identities of dead people. You would know immediately if someone was using a dead person’s name as that person would be registered as dead on the home affairs database that we have access to,” he said. Neethling said he was still scared of shopping online though and would consider it if he could verify the identity of the person he was transacting with. “I know a top businessman who bought tickets online for the Beijing Olympics and the tickets were fake. He flew his family over there but couldn’t watch any games,” he cautioned. Statistics from the South African Banking Risk Information Centre for last year indicate that online identity theft increases 16% annually in South Africa. It said this cost South Africans at least R2.2-billion last year. It added: “Account takeover fraud is the fastest growing type of fraud in South Africa. It increased by 100.5% from R1.1-million in 2012 to R2.2-million in 2013. Self-employed journalist and photographer from South Africa. Welcome to the blog of journalist and photographer Yazeed Kamaldien. We hope you enjoy your stay. Perhaps you'll find something interesting or useful too.